Hey Coffeeholics! Its been a while. 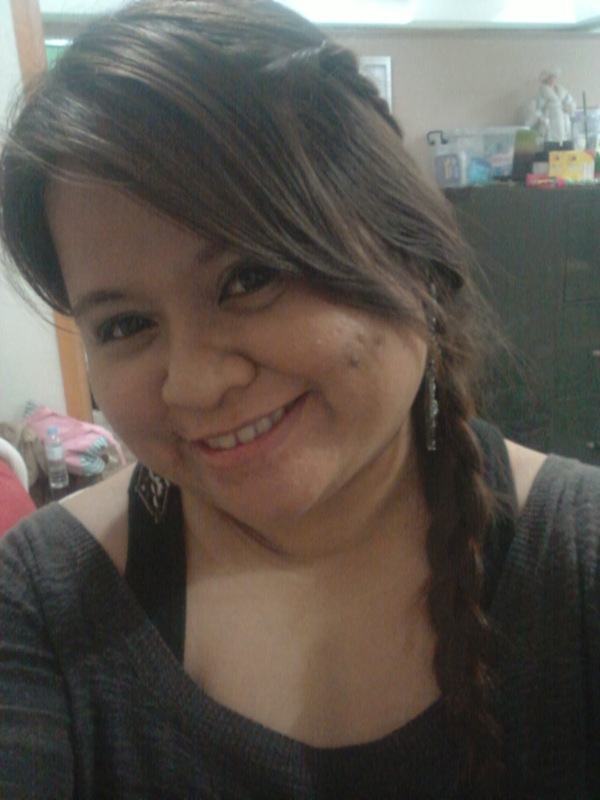 And yet despite the weeks.. my battle with acne is still ongoing. Its really "jahe" and annoying when I can't get a proper face shot because of a huge zit. Ok fine, lets make it plural.. ZITS. Ugh. Yes its the black marks that you can see on my cheek. I've tried to cover it with makeup but still its visible. Its such an eyesore. I'm not sure if its because of lack of sleep, detox, or hormonal reason behind it. Nevertheless, its there and sometimes its really cramping my style yah know? 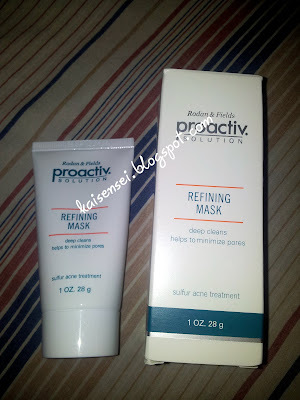 So when I found out about Proactiv's Refining Mask, I got intrigued. 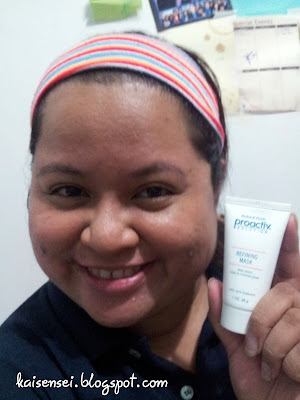 I've tried all sorts of pimple/acne products but so far, Proactiv has been the only one with guaranteed success. So I was glad to be able to try it out for myself. comes free with every purchase of Proactiv 30-day or 60-day kit. The Proactiv Refining Mask has a powerful concentration (6%) of antibacterial sulfur - a proven acne-fighting ingredient; its vitamin-enriched formula helps give you a brighter, younger looking complexion. It refines texture and tone of skin and pores appear smaller. 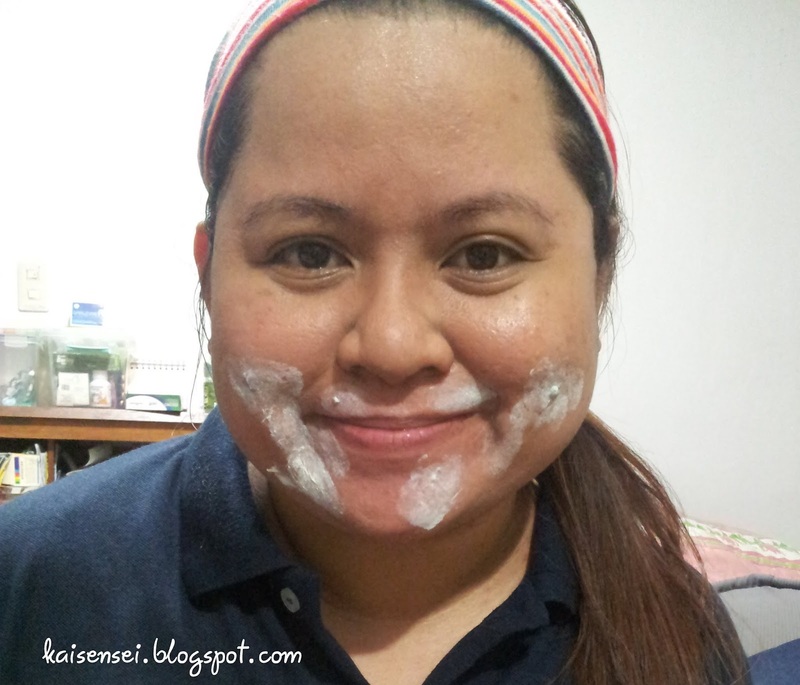 It also contains Kaolin clay which helps absorb excess oil. It has Vitamin E, a potent antioxidant that protects skin from free radicals and soothes and nourishes the skin. It has Vitamin F Complex to help retain skin moisture. The tea tree oil in this mask provides antiseptic and cleansing properties, while the geranium and lemongrass extracts provide overall skin conditioning. 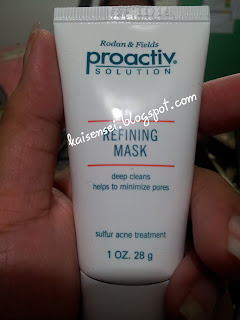 So if you have been using the Proactiv Combination Therapy, this Proactiv Refining Mask would definitely be the perfect complement for deep cleansing and to help minimize the pores. Who doesn't want to have supple looking skin and reduced appearance of pores besides me? I want smaller looking pores and I wanna say goodbye to skin breakouts. The advanced microcrystal benzoyl peroxide in the Proactiv® 3-Step System kill acne-causing bacteria while the glycolic acid and other exfoliants reduce excess oils and dead skin cells. Then the Proactiv Refining Mask deals with the inflammation where it reaches deep into pores to help reduce the redness and the swelling associated with a breakout. (YAY!) It clears away the small impurities that are still sticking on the skin pores after doing the three steps. So of course with all these wonders mentioned, I just had to try it. All the instructions on how to use it are on the labels on the box and tube packaging itself. 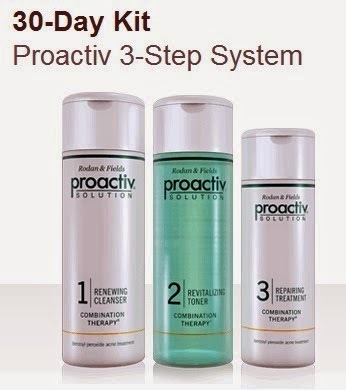 It is very easy to integrate the Refining Mask in the Proactiv® 3-Step System. Here's what I did. Step 1: First, cleanse face with Renewing Cleanser. 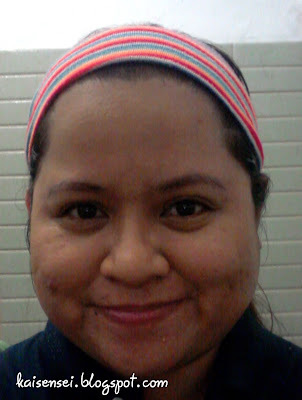 As you can see, to make cleaning faster and better, clear your face from any stray hair by wearing a wide hair band. Or for some just tying your hair will do. It will make cleaning so much easier and faster. I washed my face with warm water as well. Step 2: Apply Refining Mask to dampened skin. Ok here's the deal. According to Proactiv, you may use the Proactiv Refining Mask on your whole face or on acne affected areas only. Since the Proactiv Refining Mask is recommended to be incorporated with the Proactiv® 3- Step System, it is advisable that you apply it on your whole face EVERY DAY only during the first week. Then afterwards, you can use it 3 times a week for maintenance. 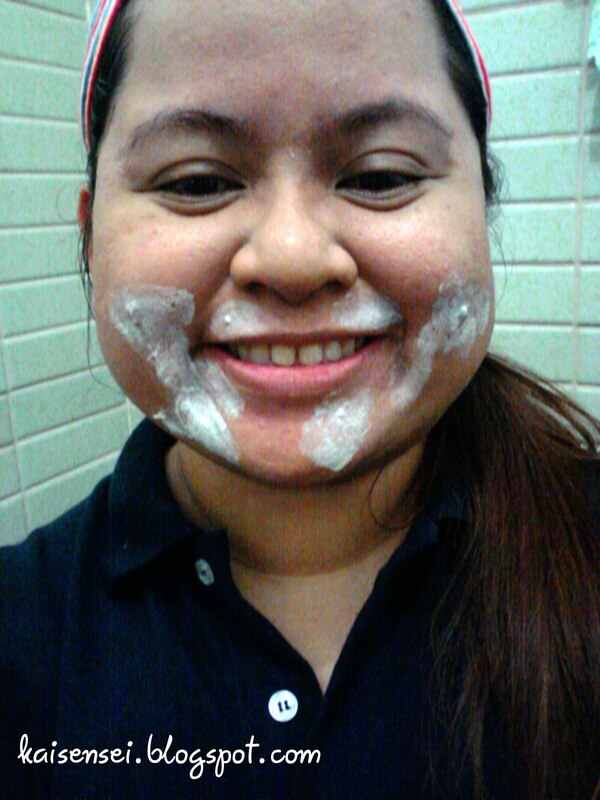 This was taken when I just applied the still wet Proactiv Refining Mask on my damp skin. As you can see, the product that I applied was a bit thick. 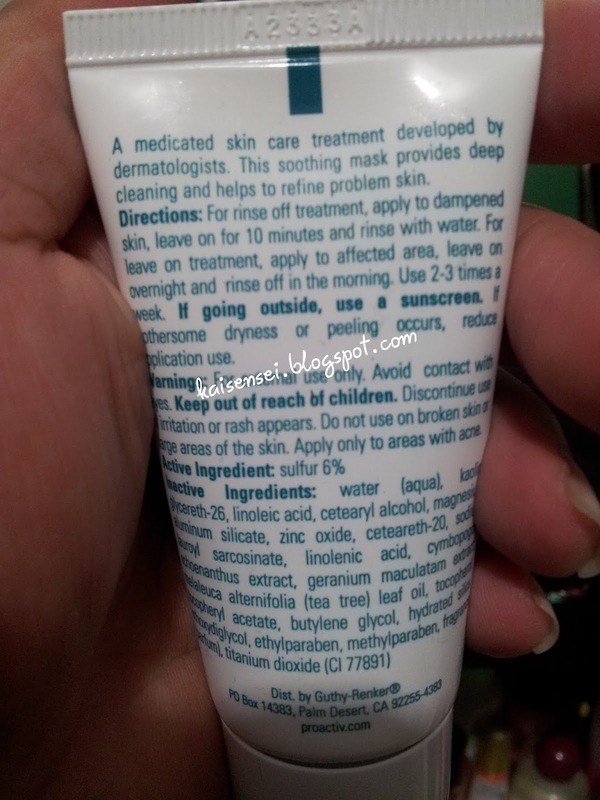 If you read the label, it advises you to just apply the Proactiv Refining Mask on the areas with acne. I've tried using it on the whole face. But mostly I've been using it on affected areas only as seen above. I've been using the Proactiv Refining Mask as a spot treatment and only for 2-3 times a week. Please take note that when you apply it on your face, you can really smell the sulfur (I sneezed a couple of times) and as it dries on your face you can feel this tingly sensation. 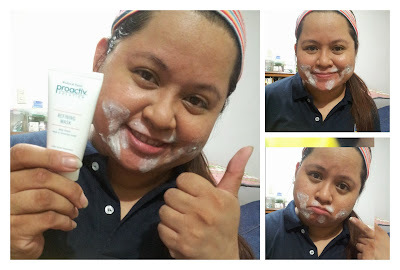 The Proactiv Refining Mask drys up and leaves a chalky like coating on the areas applied. Step 3: Leave on for 10 minutes. Rinse with water. After Step 1 and 2, leave it on for 10 minutes, then rinse off with warm water. WARNING: Excessive usage such as leaving it on for more than 10 minutes is not recommended as some people may experience hypersensitivity to sulfur. Step 4: Follow with the Revitalizing Toner and Repairing Treatment. After washing off the product from your face, you will definitely feel that your pores have tightened and the skin is now more soft and supple! You can say goodbye to oily pimply skin. With constant use of the Proactiv Refining Mask after the Renewing Cleanser, you should see a progressive improvement in your acne and a reduction in facial redness due to the antibacterial properties of the sulfur, the drying action of the kaolin clay, and the skin - soothing formula. The sulfur in the Refining Mask is an important ingredient in Proactiv® Combination Therapy® because it helps reduce the tender redness associated with a breakout. Sulfur is also a mild, natural antibacterial and a keratolyic agent which helps reduce acne bacteria and unblock clogged pores. The white kaolin clay also present in the Refining Mask, helps absorb excess oils, improves the look of pores and creates a smoother, more matte and calmer complexion. 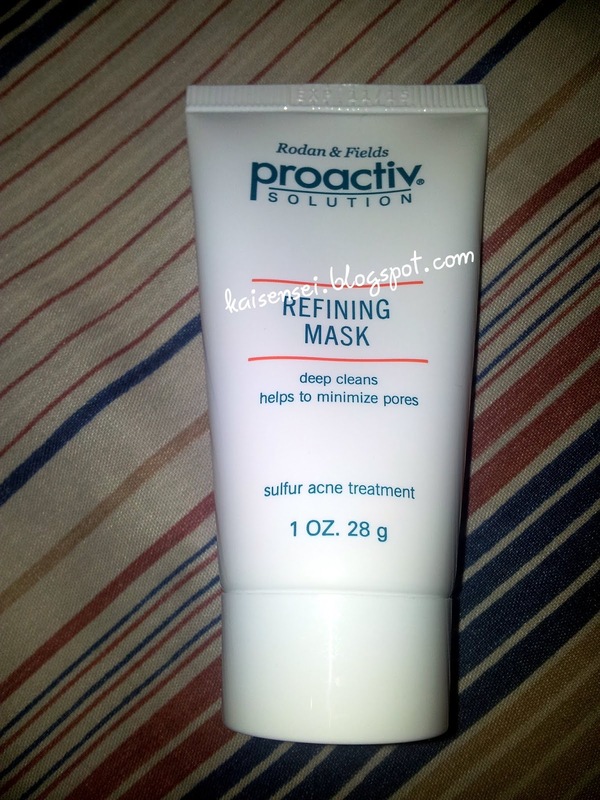 The Proactiv Refining Mask can be your solution to the Zit Wars! When I used it, my pimples dried up. Yay! 1. Have a big pimple and you need to an important event that week? Or did you just had another breakout? Well, you can use the Refining Mask nightly for a week just like you did for the first time you used it. 2. Make the Refing Mask Treatment as STEP 4. Use it as a LEAVE-ON Spot Treatment to the problem pimple OVERNIGHT. You will see a big difference on the following morning. 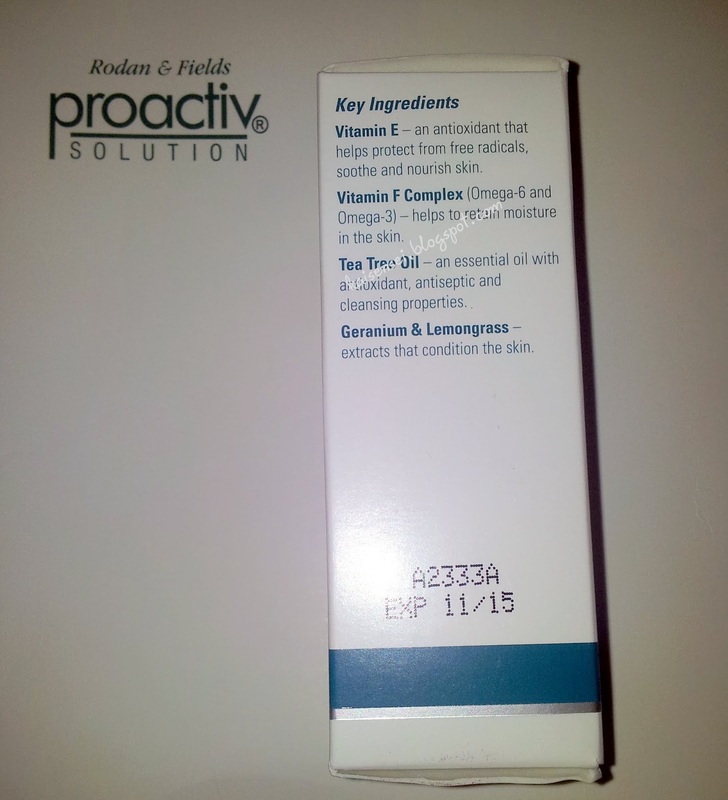 developed to complement the Proactiv 3-step system. 4. It is convenient and easy to use. It can be easily applied and rinsed off with water while other masks can be sticky during application, can be time-consuming and can be very messy. It also effectively reaches all parts of the skin and penetrates pores unlike traditional facial sheets. 5. It is economical. It comes FREE with any Proactiv 30-day or 60-day kit, and one tube can last for a month. It can be used as your regular mask, and doubles as an emergency blemish treatment too! So what are you waiting for Coffeeholics? 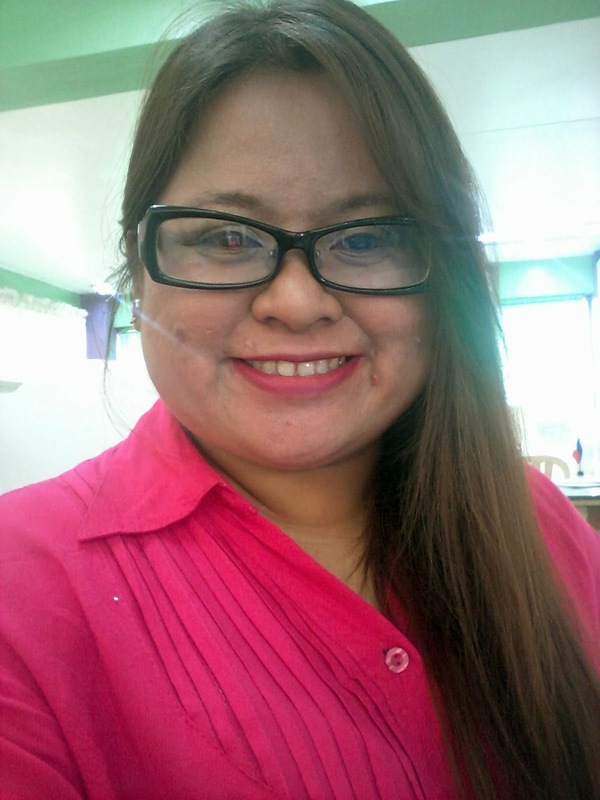 Its time to take action and say goodbye to acne. 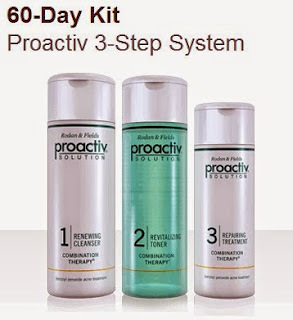 Get this Proactiv Refining Mask for FREE as you purchase the Proactiv 30-day or 60-day pack. Visit http://my.proactiv.com.ph today! Proactiv is really a good product and it's nice they continue to develop new items as well.